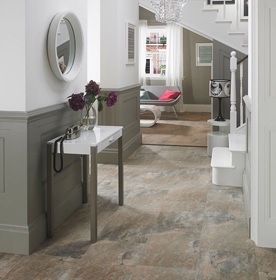 Explore our beautiful range of Hallway & Lounge Tiles from leading brands including Laura Ashley. Your hallway is the first room to greet your guests as they enter your home so it’s important the tiles for your hall make a great first impression and a warm welcome. 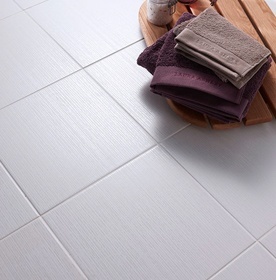 As well as looking great, the best tiles for halls should also be practical. Our Mr Jones tiles from Laura Ashley are tough enough for busy areas and feature beautifully striking patterns. 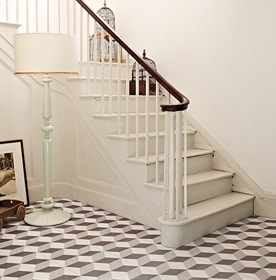 If you’re looking to create a more spacious hallway, opt for hallway tiles that feature lighter and softer colours to complement the natural light in your hallway. 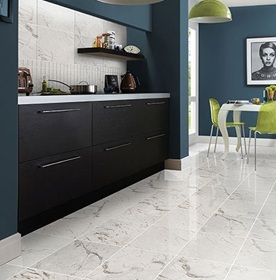 If you want a stylish update to your home and instantly improve or freshen up the feeling as people step through your door take a look at our hall floor tiles. They are perfect for updating your hallway flooring and breathing fresh air into your living space. Our options for hallway flooring and lounge floor tiles are extensive, whether you want a classic look or have a more modern design inspiration. 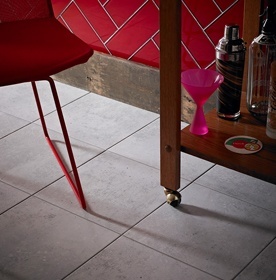 Choose concrete look tiles for a plain industrial look, or opt for patterned hall floor tiles for a more edgy look. 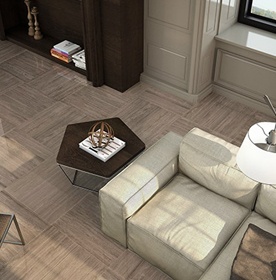 Our hallway flooring can make any design dream come true. Choose large square or rectangular tiles as your hall floor tiles for a seamless modern look or impress guests with flawless marble hall floor tiles that are classic and timeless. Your hall is also the space that has the most wear and tear and our tiles for your hall can make your life easier. Choose our hardwearing hall floor tiles for your hallway flooring and it will make your hall look neat, clean and elegant without requiring much upkeep. 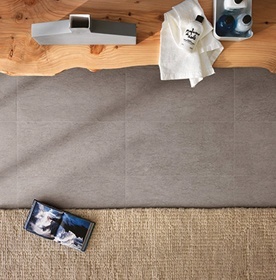 Lay simple tiles in a herringbone pattern to create a more interesting look that still seems minimalist. 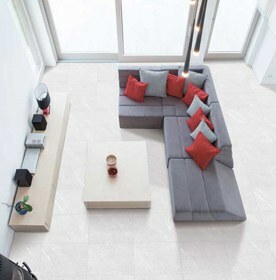 We can supply you with the perfect lounge floor tiles as well which will update your living space - the ideal way to use our lounge floor tiles is to choose a design that works with the atmosphere you want to create in your home. Textured lounge floor tiles can give you a carpeted look without the wear and tear, wood effect lounge floor tiles add a comfortable, homey feel and patterned lounge floor tiles can be a bright and interesting design feature. If your home is busy and full of bustling children or your family has pets then lounge floor tiles are always practical and very stylish.